Nothing is more annoying or irritating than listening to hypocrites. Right? That is how I felt recently as I lay watching a TV show on cosmetic procedures. While both are topics of interest, I was amazed to notice that one of the show’s presenters had perhaps undergone multiple procedures, and wore layers of make-up. Yet another looked like a victim of an excessive lip augmentation. I tried unsuccessfully to guess why the camera wasn’t zooming in on the third one! Seriously, as a woman and a viewer, I felt insulted. Why, in our shows, do we not practise what we preach? To be honest I didn’t get any real answers for several questions I had. After watching the show, I now believe the sole purpose it served was to promote cosmetic procedures and probably the guests it hosted. None of the presenters admitted to the number of procedures they went through. Wish they did! If such a discussion was on a respected western channel, we would find the presenters talking about their own experiences or asking questions out of experience, for instance. Here the format was different. As one of the participants in the discussion said, every woman has the right to opt for or not opt for cosmetic procedures. In the end, it is about personal freedom, one participant said. Bingo! What was conveniently forgotten was the media’s role to ‘educate’! If discussing such a topic was meant to tell people the advantages and disadvantages of cosmetic procedures, why were there no details given (either by the presenters or professional guests) on what the red lines are when it comes to such procedures? What are the negative effects of repeatedly doing it? Why did no one mention that there are no studies backing the safety of these procedures yet? Why no one had a word of caution for the viewers about what to do in case of a medical mistake still beats me. As I was writing a feature on cosmetic procedures a few months earlier, I met highly talented and popular professionals. 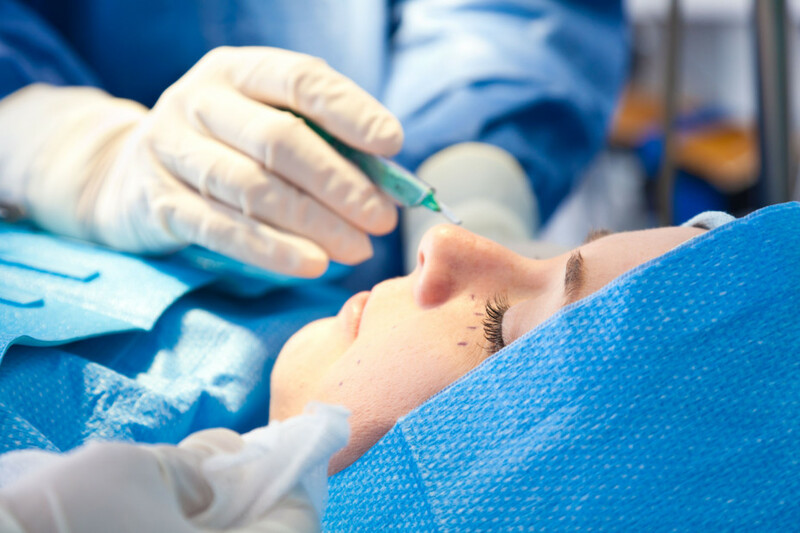 During my search I was surprised to learn how damaging some of these procedures can be if they are done by reckless, overconfident and ignorant practitioners. I heard stories of some women who lost their lives. I heard stories of people who realised how they were misled when they sought a second or third opinion. I was even more surprised that there are some plastic surgeons who ask for full payment ahead of a procedure in which success is not even guaranteed. Entering some cosmetic clinics is like entering a high-end boutique, not like a place that you are going for a medical procedure. In one of the clinics, I saw high heels and fashionable tops at the reception area that one would only see at a cocktail party, not a medical clinic (where you expect to come across someone really experienced in medical sciences). I am not against being pretty. On the contrary, this is something very nice. All of us fancy beauty. But I am going to dish out free advice. If you ever go to a doctor or cosmetic practitioner and are told that there is no percentage of error or “side effect”, and you are made to look at pictures “before and after” to give an impression that it is going to be a quick ride with fascinating results, please know that you are in the wrong place. Back to my main point: I still don’t know what is wrong with being yourself. It sounds like a nice topic for a gripping TV show.